Stairs pose a tremendous challenge for many people. Some find climbing and descending stairways either very difficult or impossible. Stairs also pose a barricade to individuals using wheelchairs. For both residential and commercial applications, Indy Stair Lifts delivers solutions to transform stairways from obstacles into open pathways. Frustrating mobility issues are overcome with electric chair lift options, including chair and platform-style electric chair lifts. An electric chair lift is a fantastic solution for individuals limited by stairways. Indy Stair Lifts is the national leader in helping people to find appropriate electric chair lifts to triumph over mobility limitations regarding stairs. Electric chair lifts are available in many styles and sizes to fit even narrow and curved stairways. For people that can walk comfortably on level terrain, the safe and reliable transition from one level to another will enable free movement and restore independence. We offer a full range of electric chair lift options to suit residential as well as commercial installations. 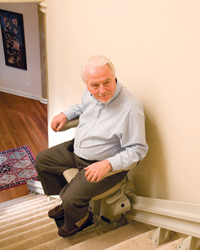 Indy Stair Lifts transforms lives as a nationwide leader in mobility solutions. We are dedicated to helping individuals and organizations transform limiting stairways with durable, safe, and reliable transition area transportation. For people that rely upon wheelchairs to move safely about, electric chair lifts are a good option if transitioning in and out of a wheelchair is a possibility. One wheelchair may be kept on each level of a home, and the electric chair lift will safely bypass the stairs. However, many people are not able to transfer in and out of their wheelchair so easily to appreciate an electric chair lift to overcome stairways. In these cases, a better option would be a platform-style electric chair lift. These platform lifts are designed to carry passengers while seated in their wheelchairs safely over stairways and inclined terrain. These lifts can cover distances up to forty feet. Anyone requiring wheelchair accessibility will find such an electric chair lift liberating. An electric chair lift is capable of transforming a home, office space, or other area of public access. 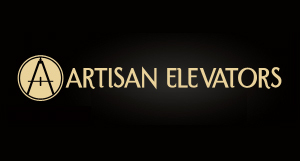 Electric chair lift options help people overcome the disheartening limits of challenging staircase entryways, multi-level architecture, and complicated or tiered landscaping. With electric chair lift solutions from Indy Stair Lifts, stairs and inclined landscape will no longer pose unfair limitations for individuals in wheelchairs or struggling with mobility restrictions.